I’ve wanted to crochet a blanket for a few years now. I want this blanket to stay with us forever. I want it made of the softest of soft yarn in the prettiest of pretty colours. However there were things holding me back, mostly money and time commitment. 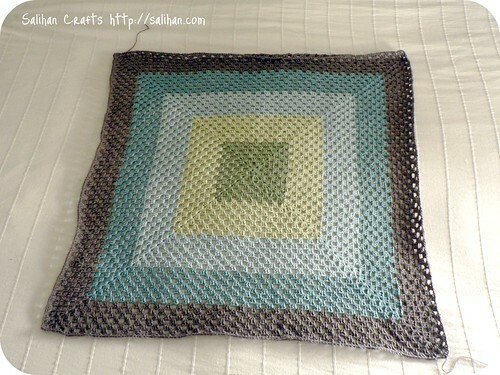 I started a hexagon blanket with scratchy, squeeky acrylic yarn last year but I didn’t finish it. It just wasn’t what I wanted and it felt like a compromise. I didn’t love the hexagon blanket like I hoped I would with my forever blanket. In a twist of fate, I started working for Ecoyarns on a part-time basis a few months ago. One day, while I was preparing sample cards for the EcoOrganic Cotton range, an idea struck me. 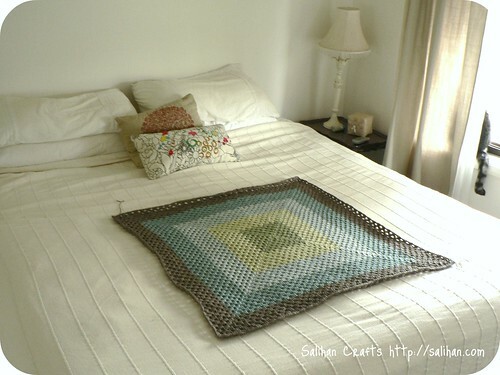 I could make a giant granny square blanket just like Joelle’s from Purl Bee! I’ll arrange the colours similar to the sample card and it will be a glorious blanket. Working at a yarn store has it’s other benefits too. Discounted staff prices. Woohoo! I brought the yarn home and brainstormed the idea with Richard. He wasn’t too sure that I should take on such a big project but he could see I was desperate to do it. As soon as I showed him the yarn, he instantly fell in love with the colours and the softness of the organic cotton. He was now assured that it was not going to look like a typical nanna blanket. It’s important that he will love this blanket as much as I will. It is our forever blanket. 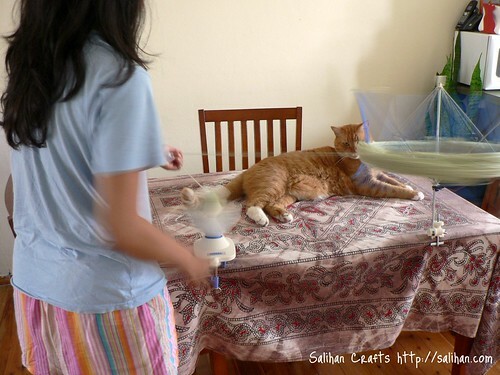 I spent that weekend winding the yarn into cakes, with the “help” of Olly. He was trying very hard not to attack the yarn as it whizzed past. It was truly impressive how well behaved he was. He eventually moved away and slept under the table instead. What a good cat! Just looking at the colours made me so happy! Look how pretty they are, all snuggled up close to each other. 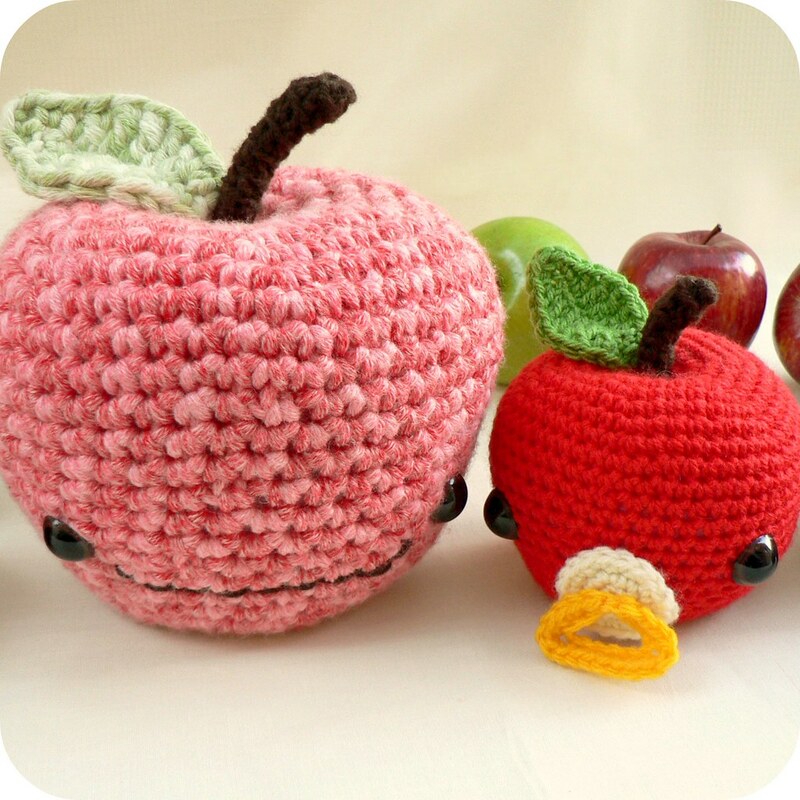 When I eventually started crocheting, I could not stop. 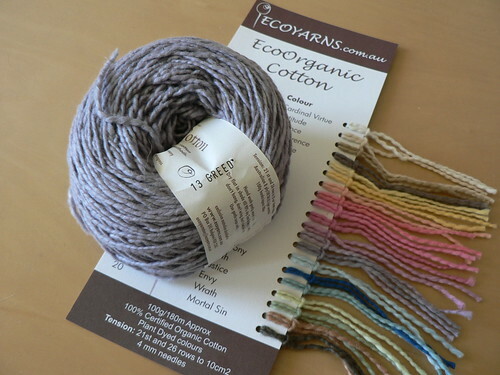 The EcoOrganic Cotton yarn is a dream to work with! So soft and it didn’t split like other cotton I’ve worked with before. It’s like knitting with Malabrigo wool. Simply heavenly! The blanket grew quickly as I crocheted every chance I got. It became my Australian Open companion. As the tennis players manipulated the ball with a twitch of the wrist, I did the same with mine on the blanket. Alas, the tennis is over and I’ve managed to crochet 5 of the 16 colours. Here it lays on the bed it is destined for. The blanket feels right. It’s what I imagined it would be. I think I’ve got my forever blanket. This will be beautiful when you’re done — I love the colors! 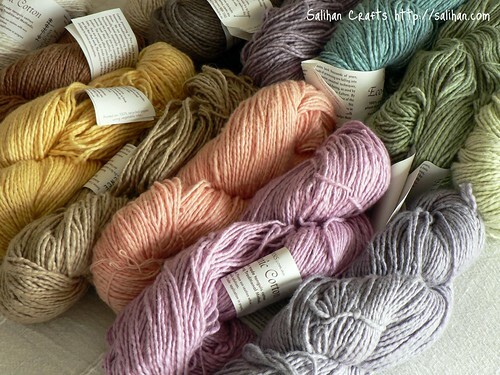 I think the closest yarn here in the US might be Lion Brand Organic Cotton but it doesn’t have all those lovely colors. Keep it going, it will be fun to see all the colors emerging! .-= Sarah´s last blog ..Meet Lily! =-. It’s beautiful, Salihan! I have a dream of making a crochet blanket too, but not sure what pattern yet. I love the one you chose, and the colours look so good together. The colors are lovely, and your progress so far looks great! Can’t wait to see more! 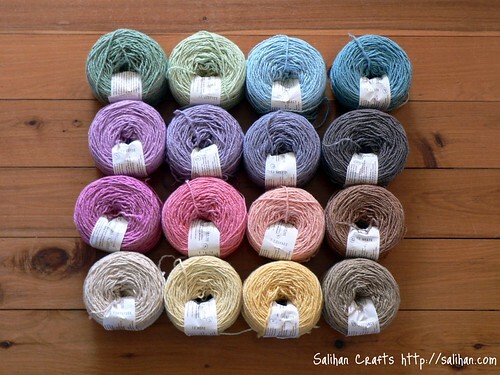 .-= Christy´s last blog ..Crochet paper chain =-. My goodness, they are lovely colours together and look so soft and squishy, I’m sure your blanket is going to be much loved. The colors are beautiful and your happiness is contagious! I’m happy for you! .-= Maria´s last blog ..Aussie Maria’s Sunburnt Country =-. That is going to be a truly gorgeous blanket! I love the colors — so warm and yet subtle. I can’t wait to see the finished product! Can’t wait to see your forever blanket grow! It’s really lovely. What a lovely idea! I love the pattern you used as well! I agree with you as well, there are some yarns that are just horrible to work with! For me it just has to “feel” right 🙂 Keep up the beautiful work!! I absolutely LOVE it! It’s a beautiful blanket, and that yarn is superb. May have to purchase some of that myself. I look forward to seeing it grow. I love the colours you have chosen!! The granny square is my favourite thing to crochet – very relaxing and perfect while you watch TV! Your forever blanket is going to be loved for many years to come. .-= aeonie´s last blog ..Mosaic Monday – Granny a Day progress =-. Love it! How beautiful. Yep, i agree, you have your forever blanket! How wonderful! So happy for you! .-= Kimberly´s last blog ..Sayin’ It Proud =-. Good job, Salihan! I am sure you will be able to accomplish it beautifully and be proud of yourself!!! Love it! .-= Craft Passion´s last blog ..“Be My Valentine” Piggy Pillows =-. oh my gosh, it’s going to be utterly amazing!!! definitely a forever. 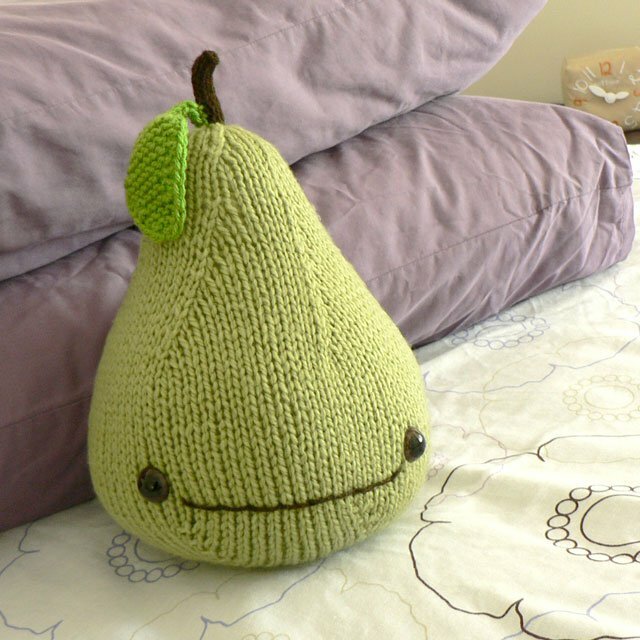 .-= Julie´s last blog ..Sweet Paul Knitting Love =-. Beautiful! I love all of the colors. .-= xiuxiu´s last blog ..Halsen =-. the blanket is going to be so fab! .-= amanda´s last blog ..bee high =-.